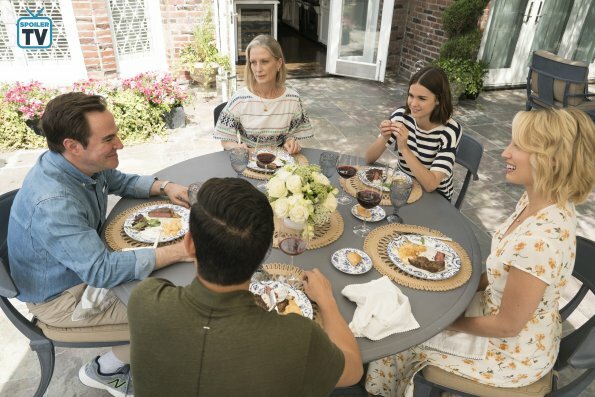 Callie and her fellow clerks gets invited to Judge Wilsons house for a friendly BBQ that ends very unexpectedly. 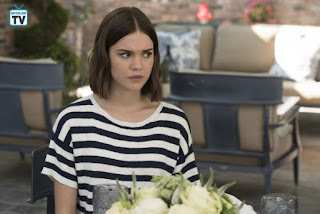 The tension continues and Callie also finds out a secret about Judge Wilson; that his son seems to be on house arrest and has an ankle monitor. Ben continues to ask Callie if she knows Malika or not, and she continues to deny it. But at the end of the episode when Ben is walking Callie home to the Coterie, he also sees Malika walk into the building. I’m sure this will cause a lot of tension and drama in upcoming episodes. Mariana deals with the lack of diversity in her workplace when the HR department wants her to be in pictures and do a video interview about the workplace and showcase how diverse it is, when in reality, it’s the opposite. She contemplates if she should go on record and tell the truth but in the end after having some conversations with Casey, she decides to say what the company wants her to say. Davia has a friend with benefits from high school in town and she’s struggling with what she wants to do with her life and if she should move home or not. Her friend with benefits tells her he wished he had the courage to leave their home town and that she should take more time before she decides to move back. Alice is struggling with the responsibilities of running the Coterie as well as helping to plan her ex-girlfriend Sumi’s wedding. There’s issues with the Wi-Fi and the complementary toilet paper is running out all the time at the Coterie but with the help of Malika, Alice decides to tell the residents of the Coterie that she won’t provide communal toilet paper anymore. I love Alice so much and I felt really sorry for her this episode. She’s just trying to please everybody and she’s trying to do what’s right but it’s all just too much for her. I liked that Malika was there for her and I just hope that Alice will stand up to Sumi in upcoming episodes. I actually really liked the opening montage with Callie and Mariana, and how different their lives are at the moment. Callie comes home late from work and goes to sleep right away, while Mariana goes out to party every single night because people at her job don’t expect her to actually do any work. I just thought it was hilarious how different the two sisters are, but especially how different their lives are at the moment. 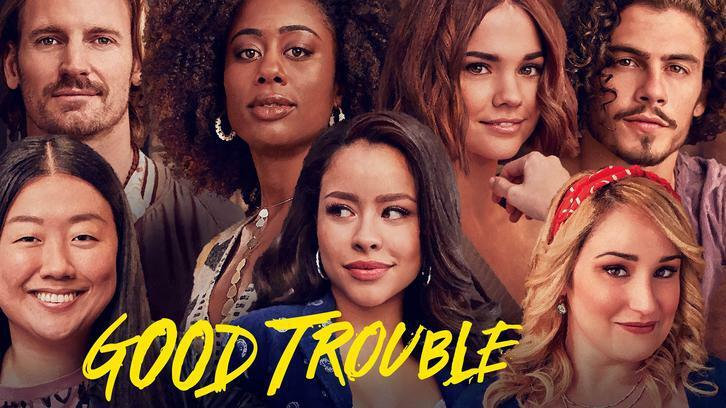 What did you think about this episode of Good Trouble? Please, let me know your thoughts in the comments below.